For the most part, wallets stick to holding cash and cards, and looking good all the while. But what if your wallet could do so much more? It's no secret that typical smartphone batteries don't last a whole day without needing a recharge. 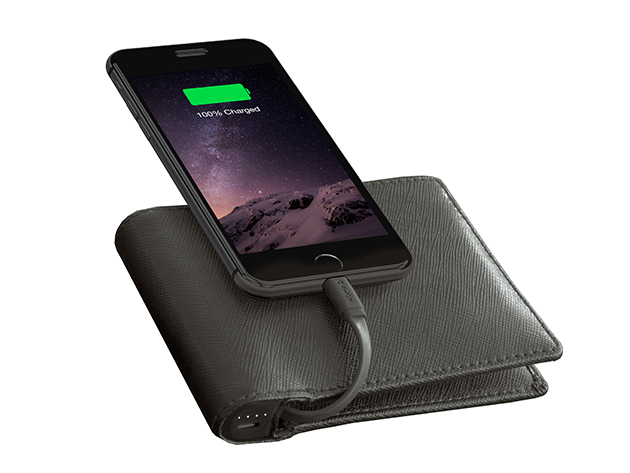 If you often find yourself frantically searching for somewhere to plug in your iPhone, you'll love the Nomad Leather MFi-Certified Charging Wallet. 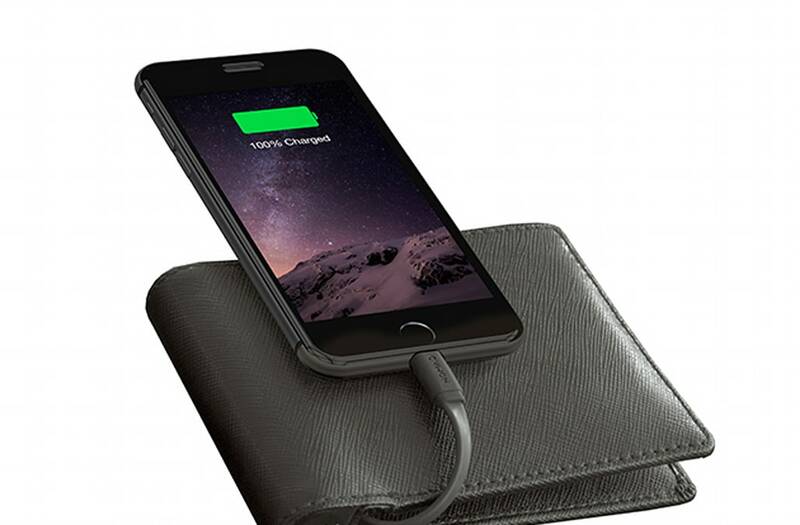 It holds your cash, looks great and most importantly charges your iPhone on-the-go. Constructed out of handsome black leather, this multi-tasking wallet comes in a traditional bi-fold design with ample room for wallet essentials like credit cards, ID and cash. But the slim wallet also has a 2400mAh MFi-certified iPhone charger cleverly built into the design without adding extra bulk. And since the Lightning cable is MFi-certified (approved by Apple), you can trust that it won't harm your phone like low quality third party cables. Currently marked down 50%, the Nomad Leather MFi-Certified Charging Wallet is listed at $49.95. That's a steal for the wallet that will work double time to keep your day running smoothly.